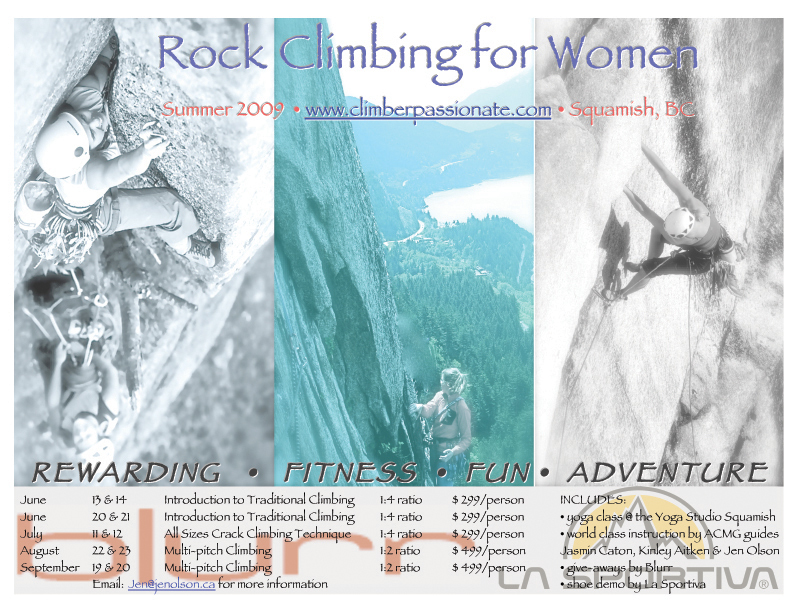 Come rock climb in a fun and supportive environment with other women who love adventure. 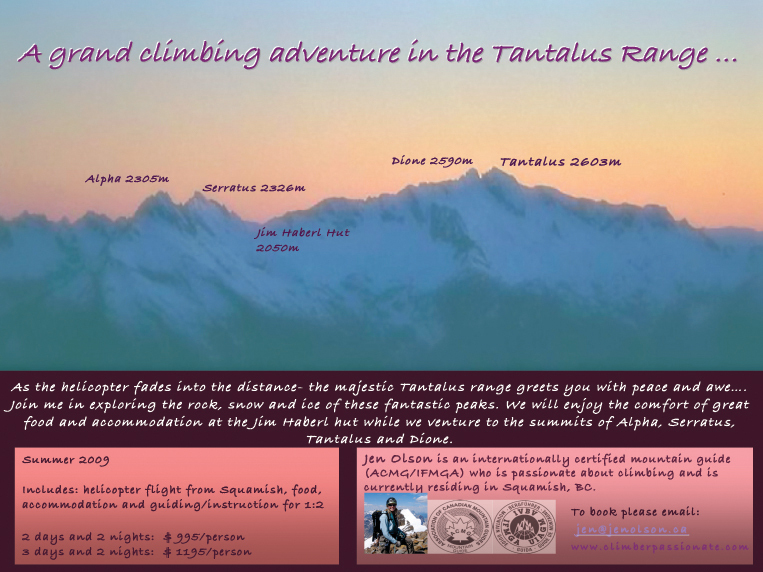 We are offering 5 weekend clinics during June to September for all abilities from beginners to advanced. We offer top-notch instruction from ACMG guides: Jasmin Caton, Kinley Aitken and Jen Olson. email: jen@jenolson.ca with any questions or registration inquiries. As well as, a free Yoga class at the Yoga Studio in Squamish.